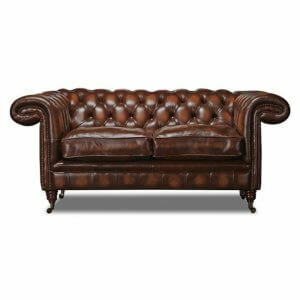 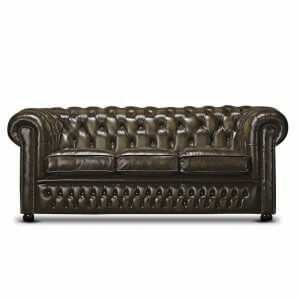 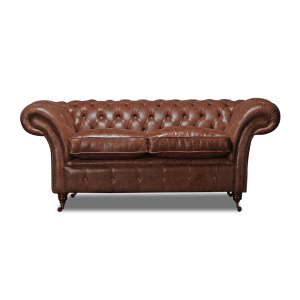 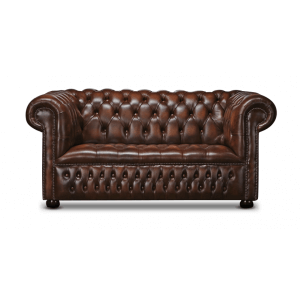 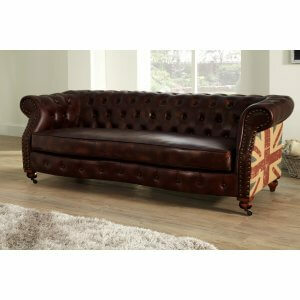 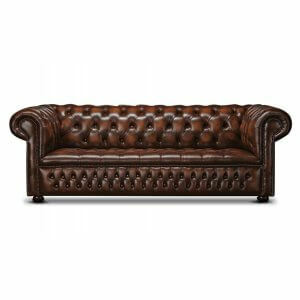 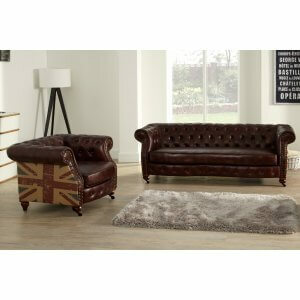 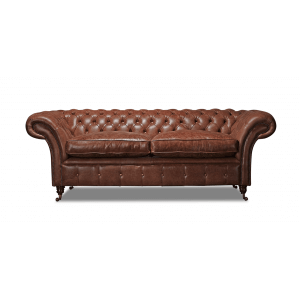 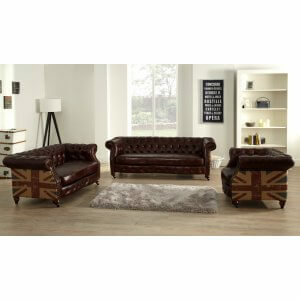 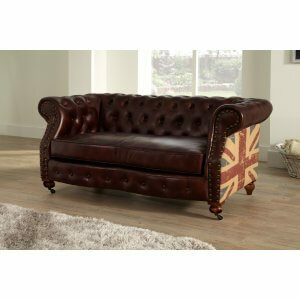 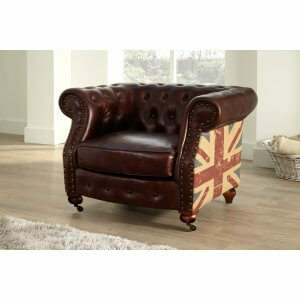 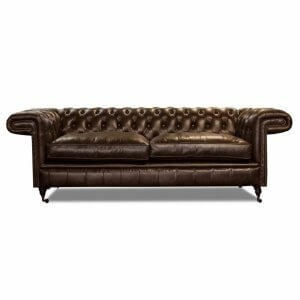 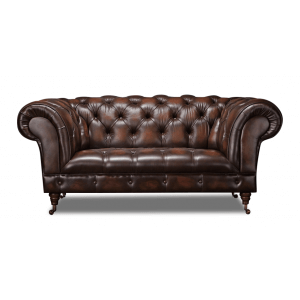 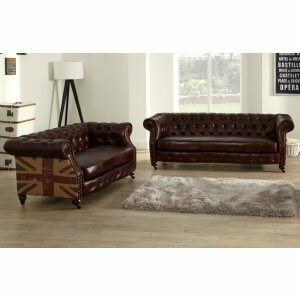 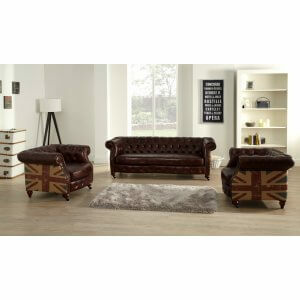 •	The new Chesterfield sofa range features vintage looking buttoned front, arms and back. 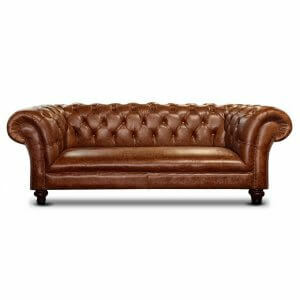 •	Made in high-quality leather providing high comfort and durability •	Quality fire-proofed dense foam and pocket springs ensure a very comfortable seat. 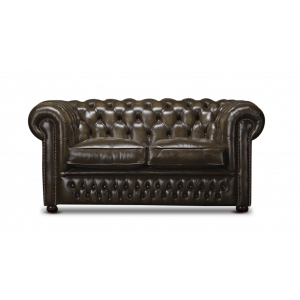 •	Plain bench seat • Turned feet •	Fully compliant with UK fire regulations. 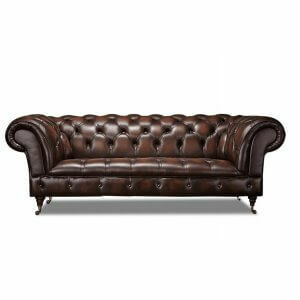 • Twelve-month manufacturing warranty on the leather and fillings and ten-year warranty on the frame.